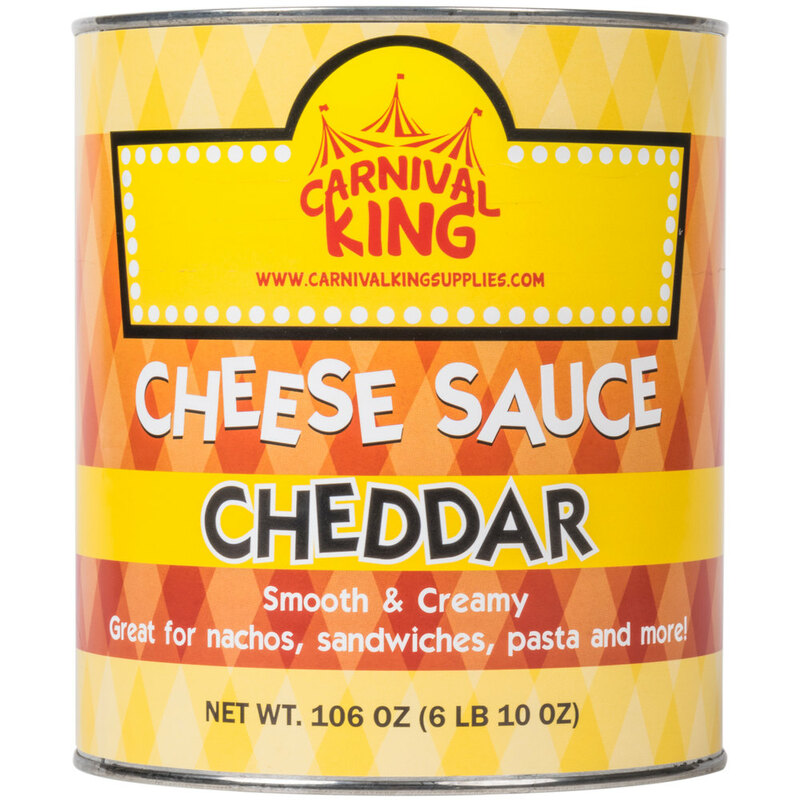 Kick up the flavor of any popular snack food with this creamy and cheesy Carnival King cheddar cheese sauce! Featuring the sharp taste of fresh cheddar cheese, the smooth consistency and appealing yellow-orange color of this cheese sauce is sure to enhance the texture, taste, and appearance of your customers' favorite concession stand fare. You can even use it to whip up batches of deliciously creamy macaroni and cheese and other pasta dishes. Pour this sauce over nachos and serve with ground beef, peppers, and tomatoes for colorful and flavorful loaded nachos. Your patrons will also love dunking their concession stand nachos or fries into this smooth and cheesy sauce! Compared to other types of packaging, this shelf stable canned sauce is easy to stack and store for your busy concession stand or commercial kitchen. Rather than opening countless smaller cans, the large size of this #10 can makes it easier and faster to prepare large batches of cheese sauce. Great for chili dogs, this cheese sauce can also be used when preparing crowd-pleasing Mexican recipes like enchiladas and burritos. Whichever way it's used, trust Carnival King to quickly boost your profits and enhance your snacks and other dishes with great taste!